Alexander Povetkin has revealed how he was inspired by martial arts movies as a youngster and is ready for a "rumble" with Anthony Joshua at Wembley. The Russian is undergoing punishing sparring sessions ahead of his world heavyweight title fight with Joshua at the national stadium on September 22, live on Sky Sports Box Office. Unbeaten Londoner Daniel Dubois is among the sparring partners for Povetkin, who is willing to overcome his fellow Olympic gold medallist in a cagey duel of skills, or a high-risk firefight. 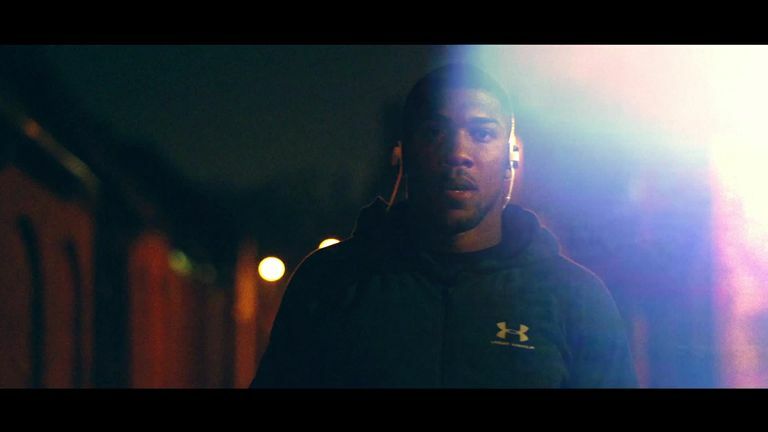 We have two scenarios - whether Anthony Joshua will decide to have a rumble, or he will keep the distance. "There is never any thoughts about losing," Povetkin told Sky Sports. "I think just about coming to the ring and winning. I do everything for that. "We have two scenarios - whether Anthony Joshua will decide to have a rumble, or he will keep the distance. "We have both scenarios, we don't know how it will go. We're ready for any style of fight. "I just want to win, this is most important." A decorated amateur, Povetkin had also claimed gold at the European and World Championships, but he previously gained success in kickboxing after his love of Bruce Lee films encouraged him to compete in combat sports. "In Russia, there was a period of time when places like video shops were popular, and they sold Bruce Lee movies," recalled Povetkin, who won a number of kickboxing titles. "I decided that I want to be powerful, and I can protect myself. I asked my father to bring me somewhere. "From the beginning there was karate, then kickboxing, then boxing from 13-years-old. That's how it happened." Povetkin has already displayed his fearsome power in front of a British audience as he inflicted a ruthless knockout on David Price on the undercard for Joshua's points win over Joseph Parker in March. The partisan crowd at the Principality Stadium were firmly on the side of Price, who wobbled Povetkin in the third round, but he excelled in the red-hot atmosphere to brutally halt the Liverpudlian two rounds later. "I can't say that this knockdown hurt me too much," he said. "But after that, I watched the moments what I did wrong in that exact moment. That was just a small mistake that I will try not to do in the fight with Joshua. "In general, I'm satisfied with my performance. Of course I made a mistake, but I win. This is a key moment. "I just want to say again, I really love how people react for boxing. Of course they support the British guy, but at the same time they love beautiful and quality boxing." Watch Joshua vs Povetkin, at Wembley Stadium, on September 22, live on Sky Sports Box Office. Book via Sky Ch491 or book it online here.